A guide to getting Nouver knowledge for tomorrow’s Nouver release. 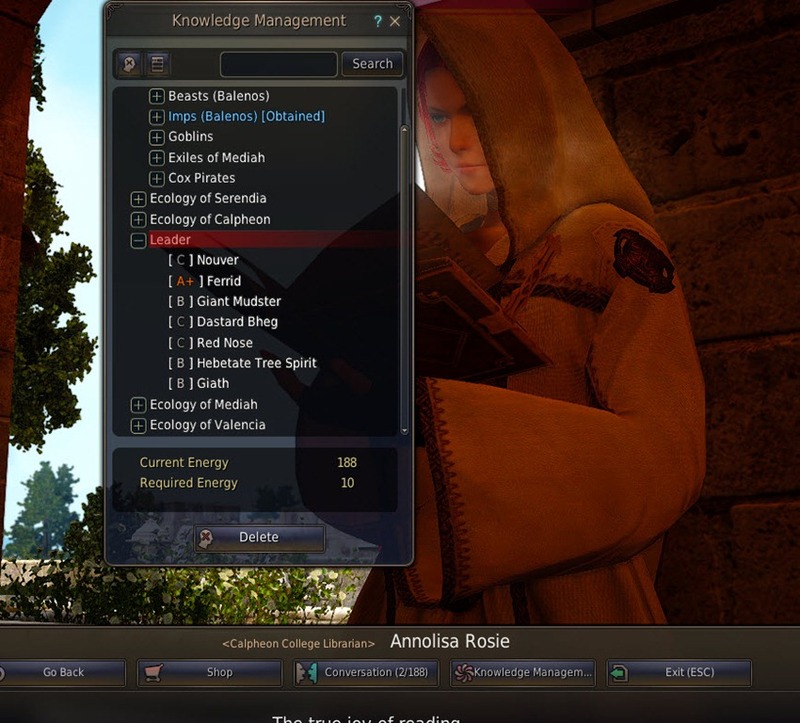 First make sure you have an alt parked at the Calpheon library next to Annolisa Rosie to reset your knowledge because you know damn well you aren’t going to get S rank knowledge on Nouver the first try unless you are really lucky. Now that is done, grab your Purified Water/Star Anise Tea and head to the desert, you need to be level 55 or above. 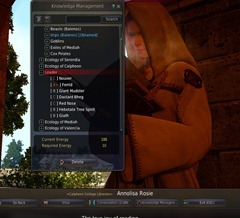 Grab some energy tonics as well as you might need it to get energy for resetting Nouver knowledge. 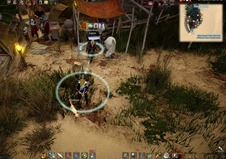 Find Eugene in the Ibellab Oasis (he is the stable keeper). 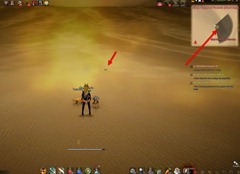 if you have trouble navigating in the desert try bring out your cat pets with the find node ability and equip either a hoe or a minepick as they can give you a rough idea of your location in the desert. Once you locate Eugene, he will give you a series of 3 quests starting with Karbuta’s Journal and ends with Brilt’s Journal. 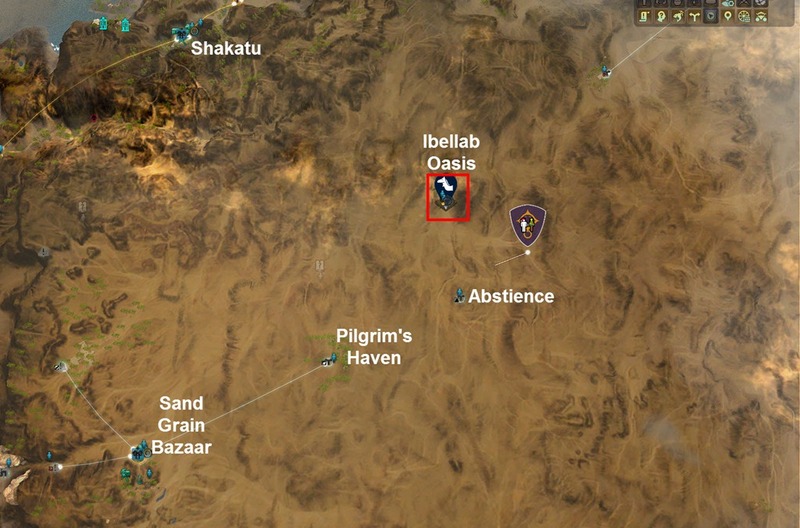 The quests are all the same, you need to locate a book in the desert not far from the Oasis. Your map won’t work outside the Oasis but your minimap will so just orient yourself while in the oasis to the quest location and run until you spot a quest circle in your minimap. 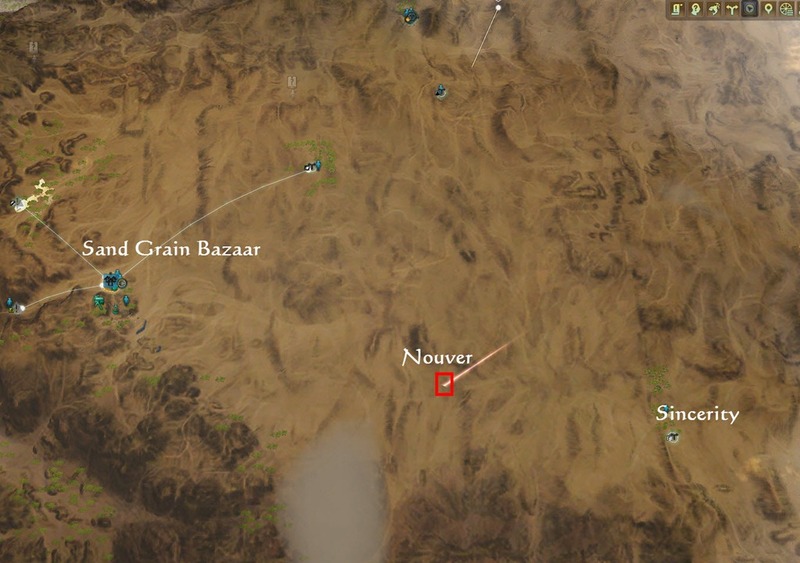 Nouver spawns at this spot east of Sand Grain Bazaar. Use your cats for navigation (equip hoe/mine pick depending on nearby resources, if you don’t have any gathering tool equipped the cats will also mark bones like the one right by Nouver’s spawn location). 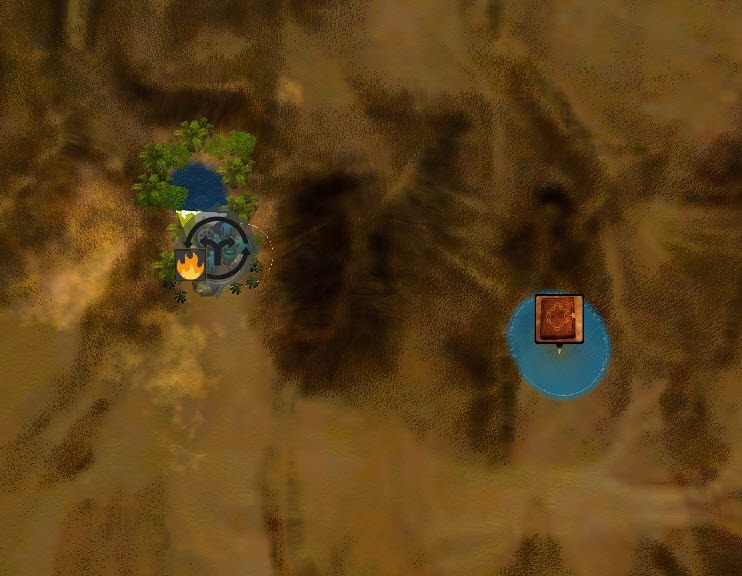 It takes 30 minutes after the Nouver notification pops up for Nouver to spawn so you have sometime to get there. 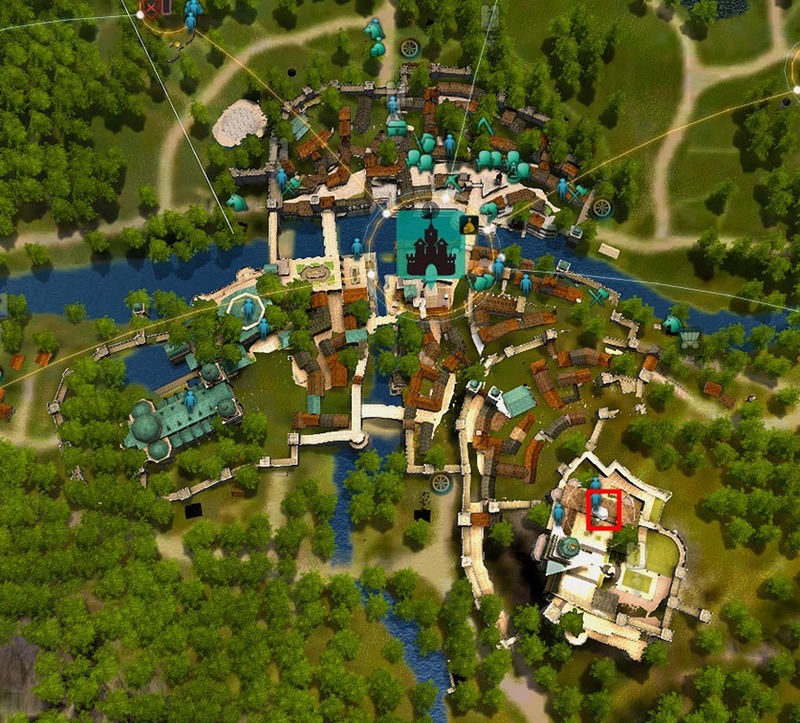 Have you started/done the quest and sand grain bazaar? Or do you have a filter for quests at the quest tab? 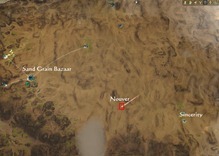 I was just following the quests from the story line , didnt do any side quest.. where should i start ? 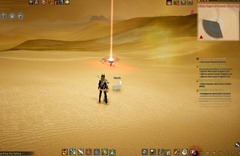 Make sure you have your quest track (O) set to receive all quests. This option was reset after the server merge. I don’t have this quest also.. and I don’t have this option “receive all” under (O)?!? 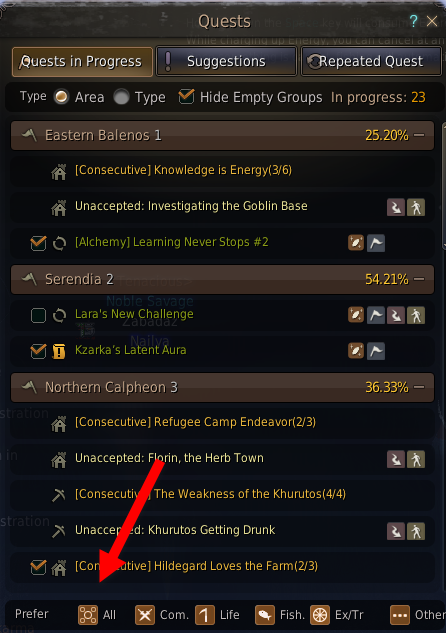 I’ve already completed the books quest last week, checking with npc now doesn’t show the knowledge option..
Great guide as always! One option on resetting knowledge is the Elixir of Oblivion from the Loyalty shop. 25L/ea or 10 for 200L and they are really fast and convenient to use w/o having to log back and forth to your library alt. Thanks! I was wondering if I can unlearn and learn again.